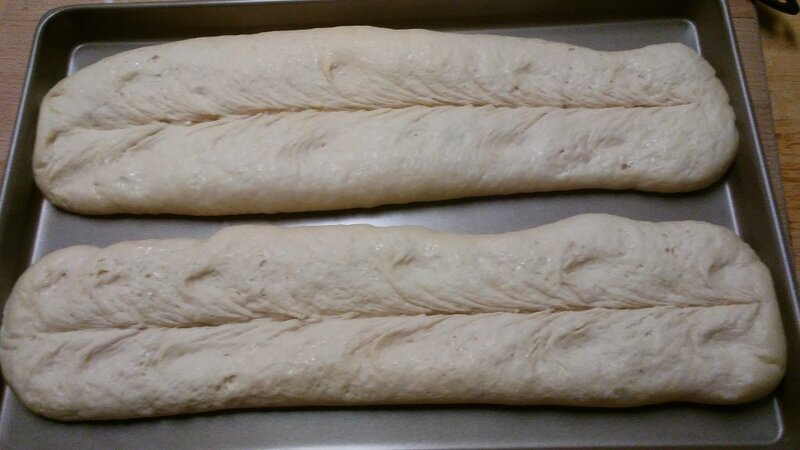 Ok, the loaves are in the oven proofing and here's a picture of that I will post thru second stage then the bake itself! Ok so I did something wrong because the bread isn't as high as I thought it would be, might have pressed down to much because it did rise up. 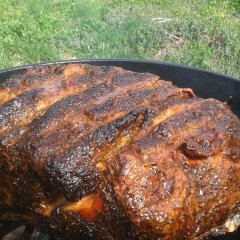 Going to let cool for a few and let you know about the taste, still going to make a Cubano sandwich unless taste is off! Here's the sandwich with a little homemade potatoe salad, really good still want to improve on the bread but not bad for first try! 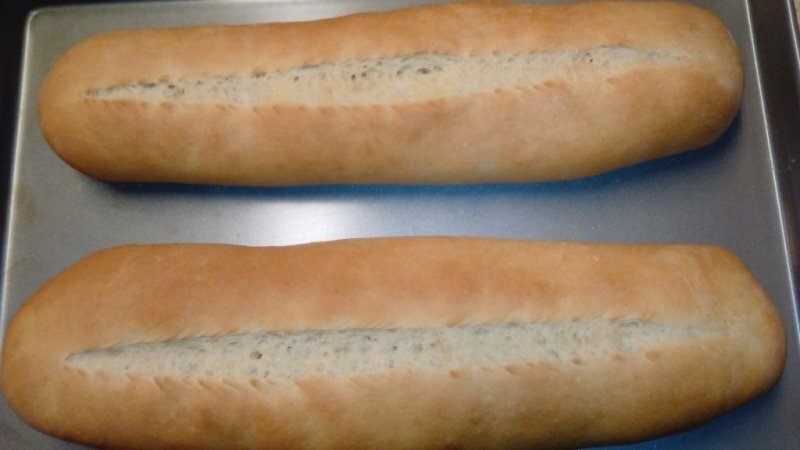 Kudos on your bread. Sandwiches on fresh baked bread are the best. Thank you, it tasted really good just wasn't happy on how flat the bread was but taste was good! Hey I'd have no problem eating some of that sandwich. 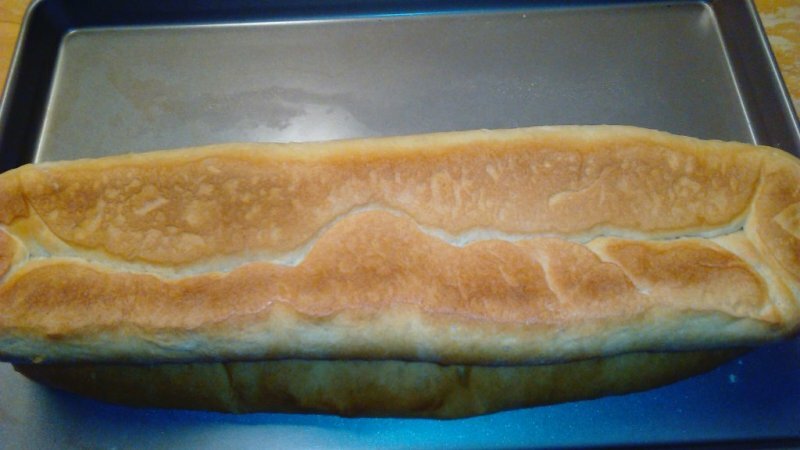 I think the bread is perfect. 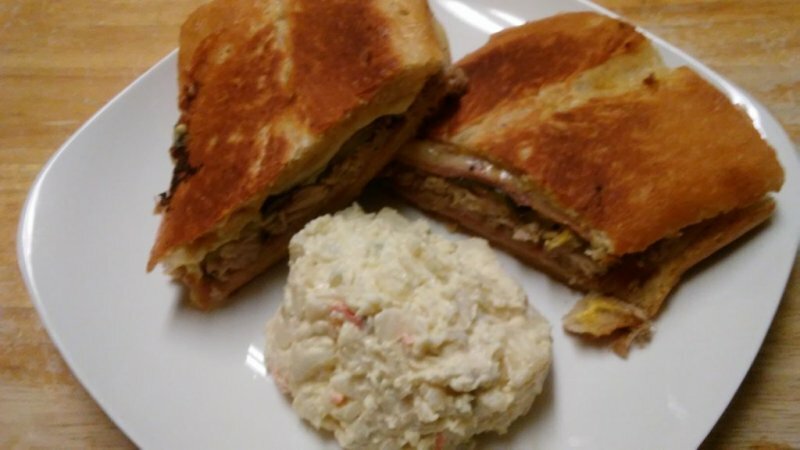 If it is too high, it's hard to eat with all the good stuff you put in Cubano. Thank you the sandwich was really good, as good as the ones I had when living in Miami! I do want a little more height with the bread but not to much more. Round 2 of Cuban bread really happy with this batch! Now those look proper! 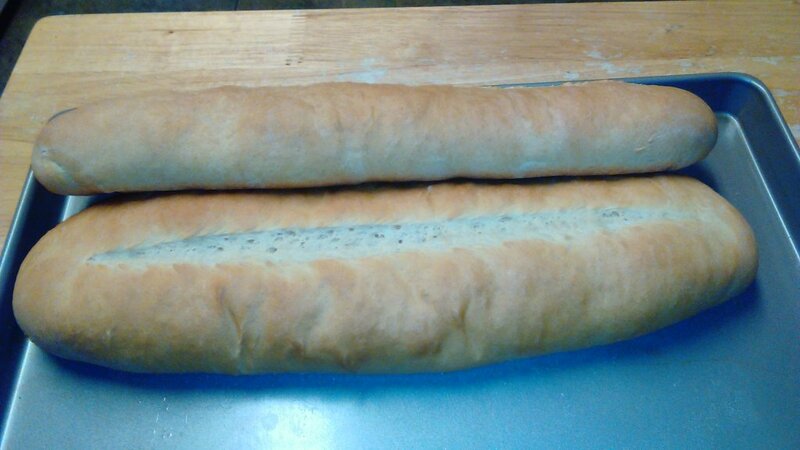 Cuban bread is tricky but worth it. 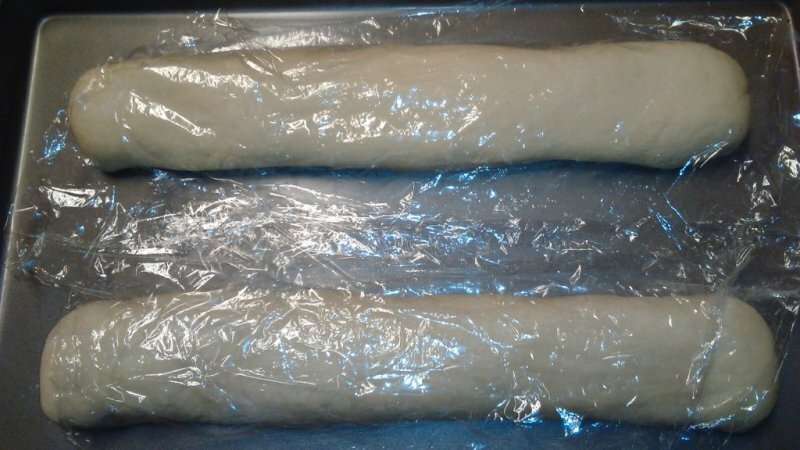 I used to make hundreds of loaves of Cuban bread once upon a time when I was a baker's apprentice at Publix Supermarkets. 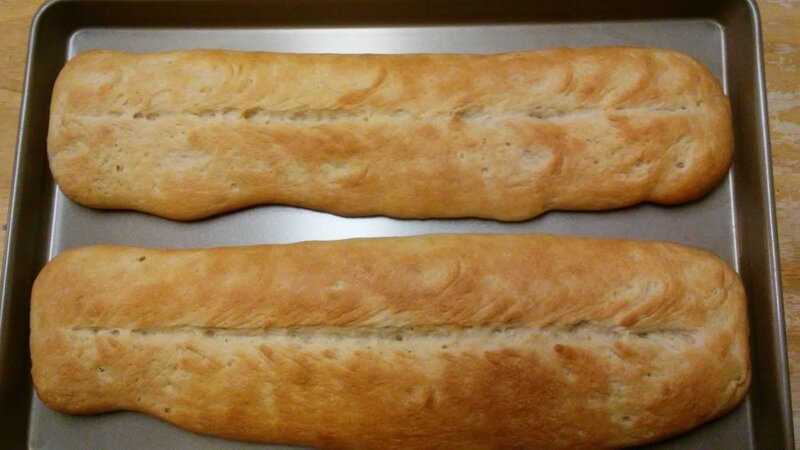 Steam will help with this type of bread and a good, perforated, French bread pan is nice to have as well. When you roll them out, do it in some yellow corn meal on the bottom. 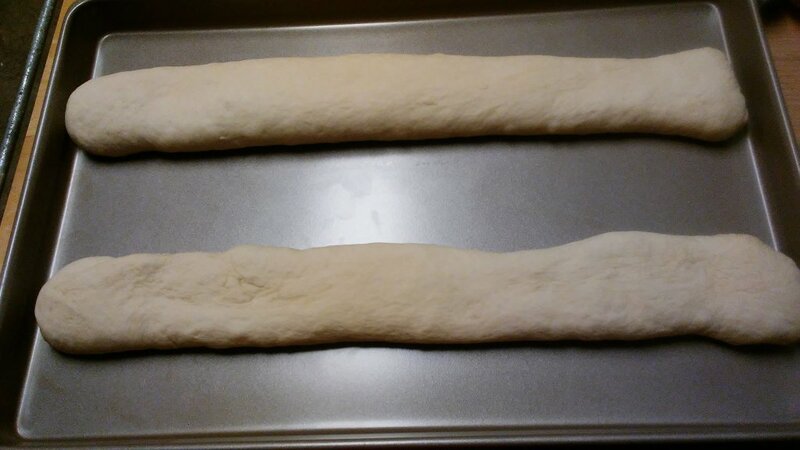 A good loaf will start out as a "snake" about 16" long and an inch or so in diameter, just for reference, before its proofed. 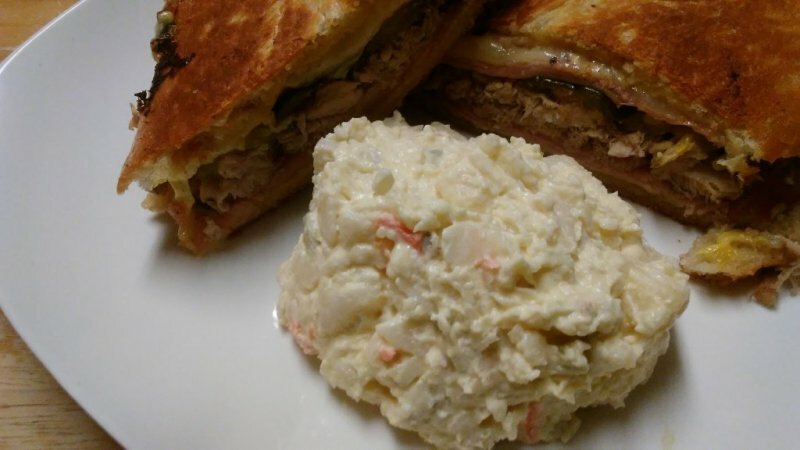 Something to try, I love Cuban sandwiches and yours look great!